Idea is giving away 200,000 hours of free internet over the next few days to all Opera Mini users. Open the Opera Mini browser on your phone. 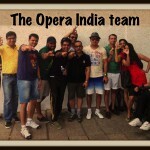 In case you don’t have it, you can visit m.opera.com and download Opera Mini absolutely free. Once the browser opens, you will notice two tabs on the top part of the browser – ‘Home’ and ‘Speed Dial’. Click on Speed Dial. Once you land on the Speed Dial page, click on the entry called ‘Idea Web Pass’. Here you will see a list of web passes; select ‘Free Internet Trial Pass (3 MB)’. There you go! Four simple steps and you can surf your way through free internet up to 3 MB, for an hour, on that day. But hurry up, only 10,000 users can avail the Free Internet Trial Pass on a first-come, first-served basis each day. So grab those passes before they run out. Happy surfing! !